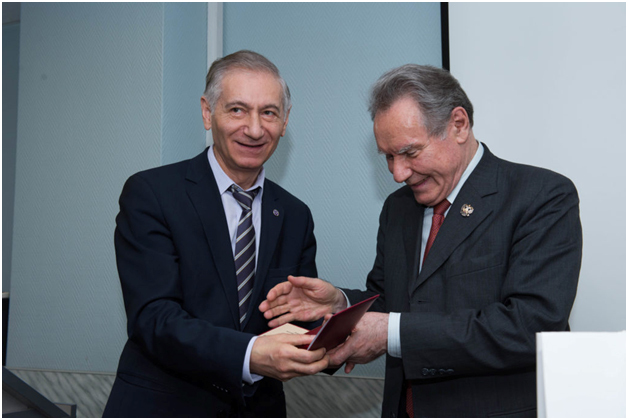 On March 14, 2018 in Moscow the Chairman of the Competition Committee for Grishmanov I. 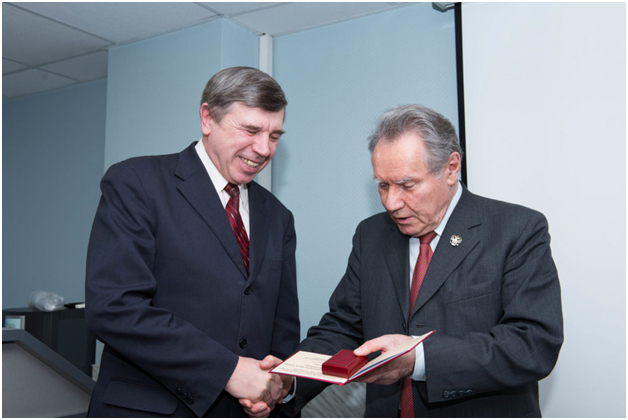 A. award, the President of the Russian and International Academies of Engineering, the laureate of the state prizes of the USSR and the Russian Federation and 5 prizes of the Russian Government, the honored worker of science of the Russian Federation Boris GUSEV presented awards to the winners of the professional contest by the results of 2017. 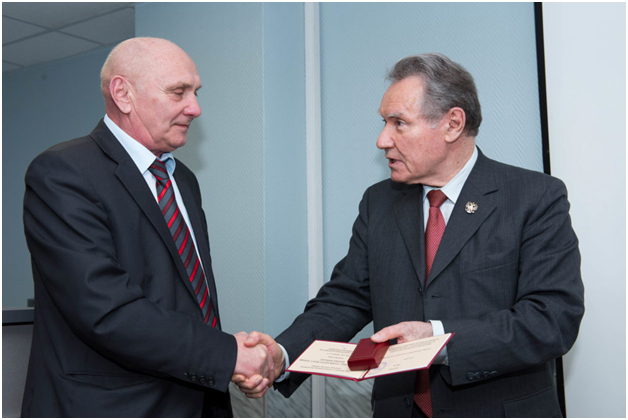 The Award is presented to Sergey Aleksandrovich Bazin, engineer and the Head of the engineering service of Plant Lodzhikruf OOO. 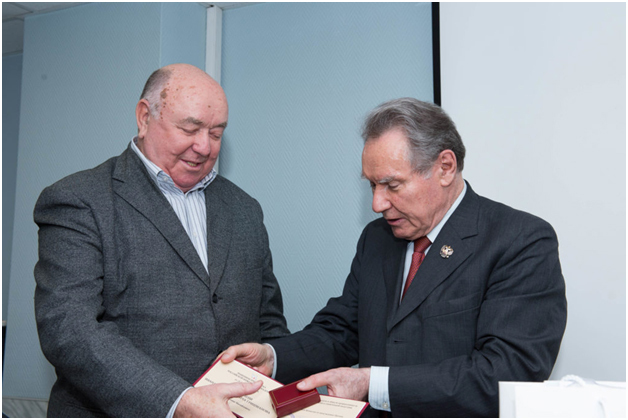 The Award is handed to Yuriy Aleksandrovich Burlov, Doctor of economic sciences, Candidate of technical sciences, Director General of the Podolsk Cement plant, Honored Builder of the Russian Federation. 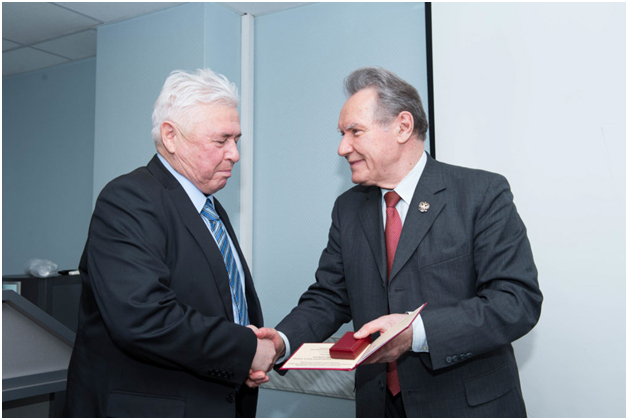 The Award is presented to Vladimir IvanovichZharko, Candidate of technical sciences, Technical Director of SM Pro, Laureate of the USSR Council of Ministers Prize. 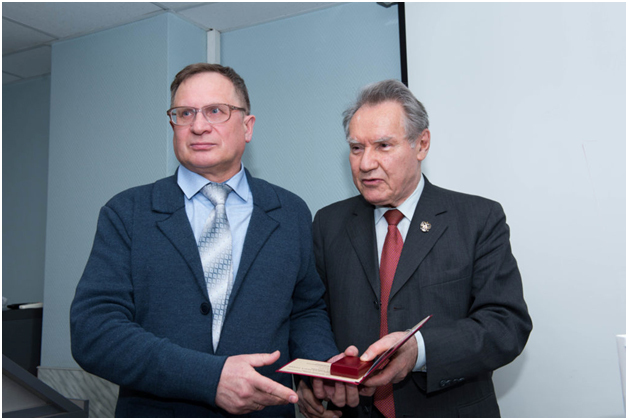 The Award is presented to Yuriy Romanovich Krivoborodov, Doctor of technical sciences, professor, professor of chemical technologies for composite and binding materials at Mendeleev University of Chemical Technology of Russia. He is also an Honored Engineer of Russia, full member of the Russian Engineering Academy, and Laureate of the Lenin Komsomol Prize. 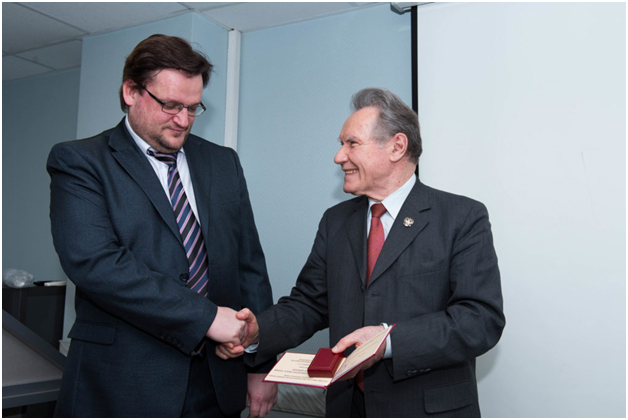 The Award is handed to Aleksandr Yevgenievich Larin, Chief engineer of the modernization project of Plant Shinglas OOO. 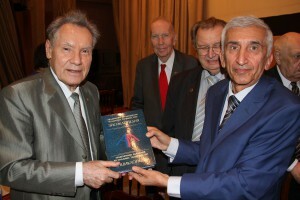 The Award is handed to Ismail Aleksandrovich Massalimov, Doctor of technical sciences, professor of physical chemistry and chemical ecology at Bashkir State University, Head of the Innovative Methods of Processing Mineral Raw Materials laboratory of the state budgetary institution “Herbicides Technology Research Institute” of Bashkortostan Republic. 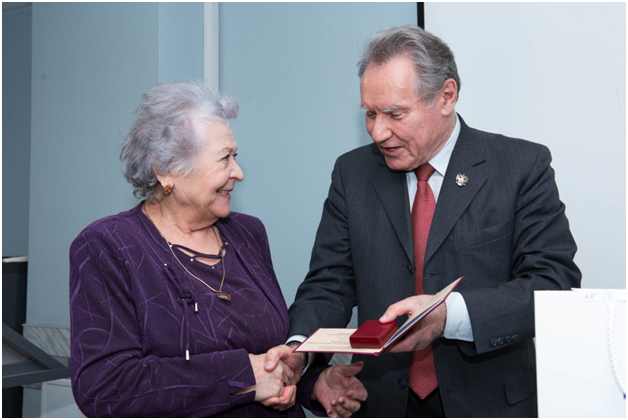 The Award is handed to Valentina Fyodorovna Stepanova, Doctor of technical sciences, professor, head of the laboratory of Corrosion and Durability of Concrete and Reinforced Concrete Structures of A.A. GvozdevNIIZhB of the Research Center of Construction JSC, twice laureate of the RF Government Prize in Science and Technology of 2004 and 2012, full member of the Russian Engineering Academy, member of the scientific and technical council of A.A. GvozdevNIIZhB, member of the Presidium of the Russian Scientific and Technical Society of Builders and All-Union Association of Corrosionists, Chairman of the RILEM National Committee, and expert of the Russian Academy of Sciences. The Award is handed to Yevgeniy Mikhailovich Chernyshov, Doctor of technical sciences, professor, member of the Presidium of the Russian Academy of Architecture and Construction Sciences, laureate of the RF Government Prize in science and technology of 2012, Honored Builder of Russia, Honored Road Builder of Russia, Honored Worker of the higher professional education of the Russian Federation, twice laureate of the Voronezh Region Administration Award in science and technology. The Award is handed to Yuriy Vladimirovich Pukharenko, Doctor of technical sciences, professor, corresponding member of the Russian Academy of Architecture and Construction Sciences, laureate of the RF Government Prize in science and technology, Head of the Department of Building Materials and Metrology of St. Petersburg State University of Architecture and Civil Engineering, member of the expert council of the RF Higher Attestation Commission for Construction and Architecture, member of three dissertation councils of St. Petersburg State University of Architecture and Civil Engineering, member of editorial staffs of journals: “Building Materials” and “Civil Engineers’ Bulletin”, expert of the Russian Academy of Sciences. 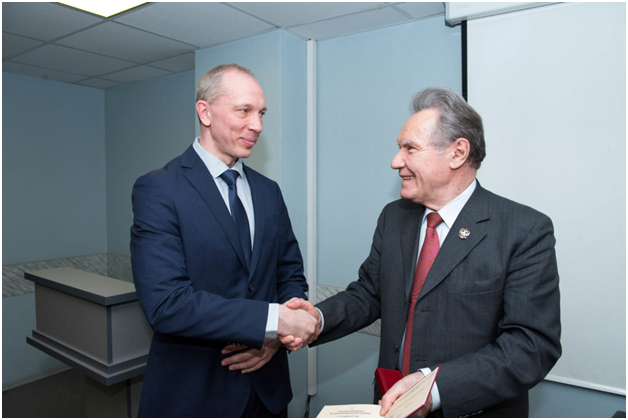 The Award is given to Vladimir Nikolaevich Tarasov, Candidate of technical sciences, chief of the surface-active substances laboratory at NPP Makromer OOO. 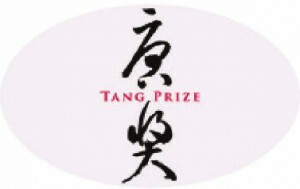 During his professional life, and with a direct participation of V.N. Tarasov himself, more than 40 chemical products have been developed and put into production at NPP Makromer. 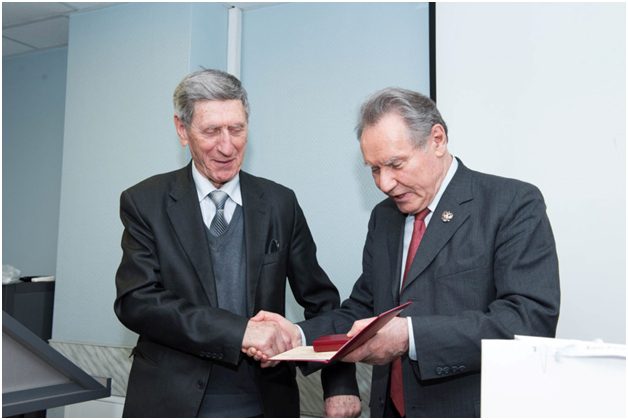 The Award is presented to Akbulat Raimbekovich Akhmetov, Doctor of technical sciences, professor, professor of Technology of Building Materials, Products and Structures at M.O. Auezov South Kazakhstan State University, Shimkent, Republic of Kazakstan. 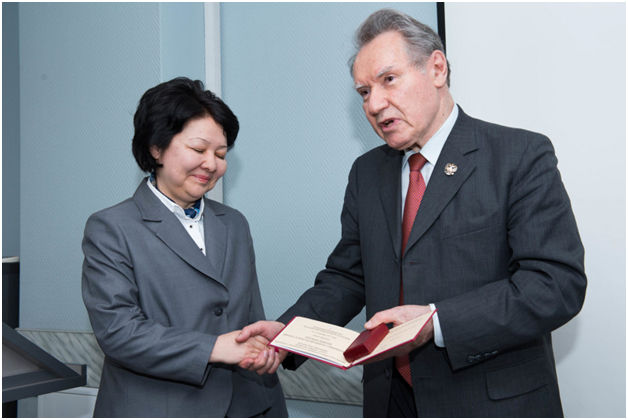 The Award is handed to Lyazat Boranbaevna Aruova, Doctor of technical sciences, professor, professor of Technology of Industrial and Civil Construction at L.N. 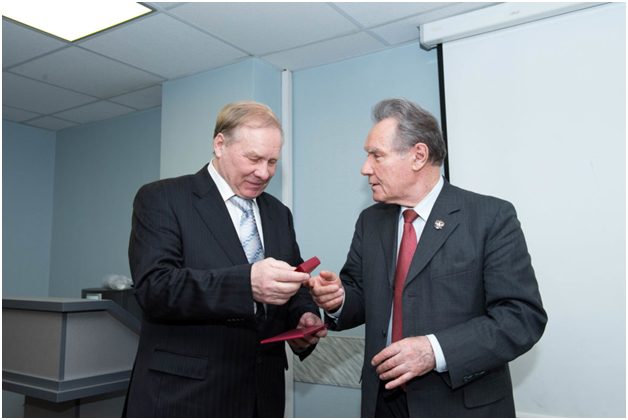 Gumilyov Eurasian National University, foreign member of the Russian Engineering Academy, laureate of the award “Scientist of the Year–2011″. Republic of Kazakhstan. 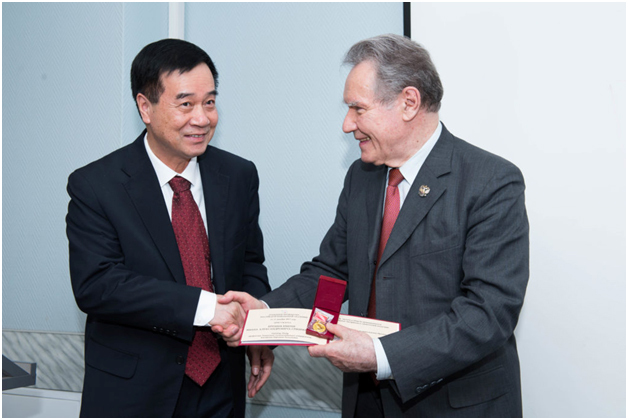 The Award is presented to Guoliang Zhang, Doctor of technical sciences, professor of Wuhan University of Technology, People’s Republic of China. 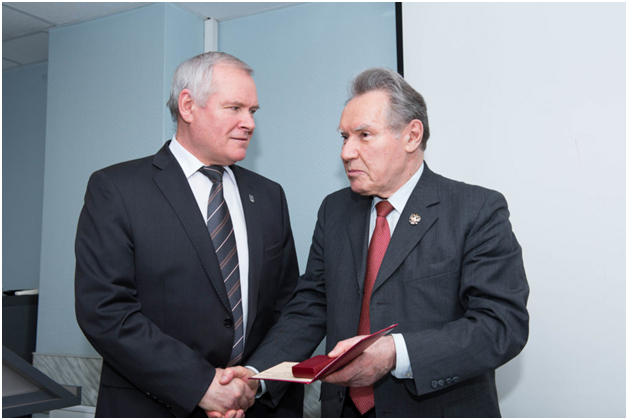 The Award is presented to Vitaliy Petrovich Lozhkin, Doctor of technical sciences, professor, Head of the Kaliningrad department of the Russian Engineering Academy, Honored Builder of Russia, Honored Engineer of Russia, laureate of the A.N. 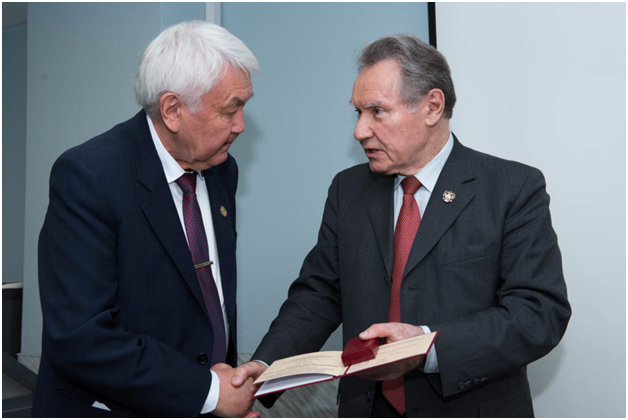 Kosygin Award, and the author of the largest electronic encyclopedia of the terms of Russian building materials.